Solomon's General Store offers a fantastic range of costume overrides, allowing you to create almost any outfit you want. 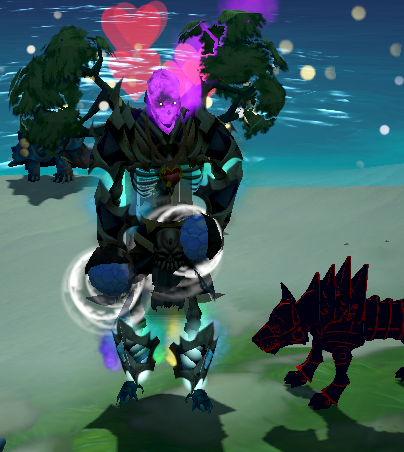 If you’re anything like me, I try to have my fashionscape on point, and some of the community’s finest outfits look fantastic… or you could pull a Mod Shauny and look so horrific it just hurts your eyes. However, Solomon doesn’t just stock outfits, with the vast number of extra customisations, have you ever wanted a little more? What about a customisable pet? 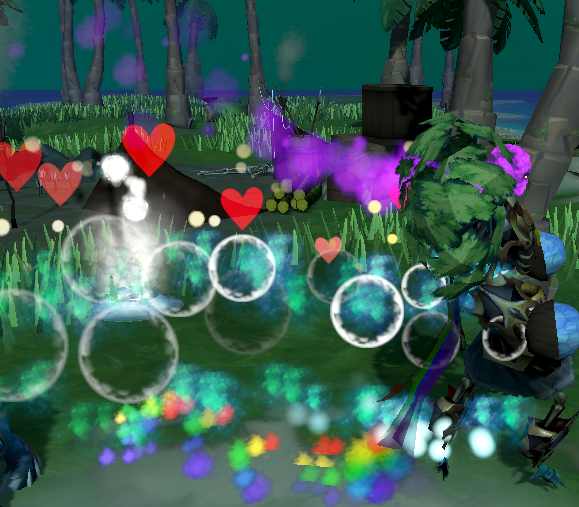 A new emote or rest animation… perhaps a brand-new skilling override? Or you could just go original and have a brand-new outfit added? Well, lucky for you, it’s competition time, and this time, it’s your turn to design all new something for Solomon’s Store. Let’s do something to make Mod Shogun proud, I wonder if he will finally give anyone a 10/10? We are giving you the chance to design something new for the store, you can go absolutely wild and pitch anything you want. It’s coming up to summer, and with carnivals and festivals going on all around the world we feel that that is a suitable theme for our second design completion! What does a festival or carnival mean to you? Could it be the Mexican Day of the dead? Your local LGBT Pride Event? Mardi Gras? What about Venice Carnival? Or perhaps, all you can think of is Glasto’. Anything goes at a carnival, and we want to bring that to the fantastic world of Gielinor. So, all we want you to design something that fits with the theme, as specific or loosely as you feel fit! Remember, what you do is all up to you! NOTE: We are not going to judge your drawing and art skills; we are looking for your best concept of a new addition to the store, not the best picture or drawings. All designs must be your own, and not copied from elsewhere. On top of this, it’s super important to us that every visual design remains true to the style and tone of RuneScape. When it comes to artwork, we must ensure as a design it's technically feasible to create and can be brought to life by our artists. With that in mind we will always do our best to preserve the essence of any player submitted design, however please understand we may need to tweak or modify your design or with the potential possibility of redesigning elements of it for the reasons mentioned above. What about Pets? Would you like it to be a legendary, a companion, or just a standard follower? You could even pitch an idea for a music box, and send us in some music suggestions if that’s your thing? It’s all up to you to decide! NOTE: As this is a design competition, we will not be accepting entries for Services such as new Bank Boosters. All you have to do to take part in this competition is design a new reward for Solomon's General Store and email it to “competitions@jagex.com” with the subject 'Solomons’ Store - Design Competition' just remember to include your username/display name in the message. This time, we want to do things a little different, and we will be hosting a live stream, where we will judge some of the entries on our very own “RuneScape’s Got Talent”. Don’t let this put you off though, all ideas shown on stream will receive one bond each! After the stream, we will select a handful of our favourite entries (and yours based off the Twitch Chat), give them to our art team to whittle down to the top five and then put it to a player vote to decide which outfit you want to see in game. You have until the 29th of June enter, any entries after said date will be ignored. We can’t wait to see your entries, good luck everyone! Mod Meadows, Mod Cam and the Live Events Team. Sigh... really not interested in overrides, why not the real thing? If you're like to suggest physical items, rather than an override - you're more than welcome! Can you enter more than one submission? Watashi gaa Kita! Can you enter more than one submission? Thanks! We think so too, it's going to be great! Lovely thank you, open a designer store where we can buy physical clothing, keep stock limited to certain amounts for certain items though, even make it so we pay with runecoins, (I would buy)You're more than welcome to suggest this with your submission! Best competition ever!! I will try to send several submissions! !